Oh my goodness you all, there were a LOT of posts to go through this week and these reviews are major labors of love, let me tell you. But I LOVE being inspired by you (and if you’re anything like me…you love being featured) so let’s get on with it! Pallet Jack by Tres Chere. Chevron Table by House to Your Home. 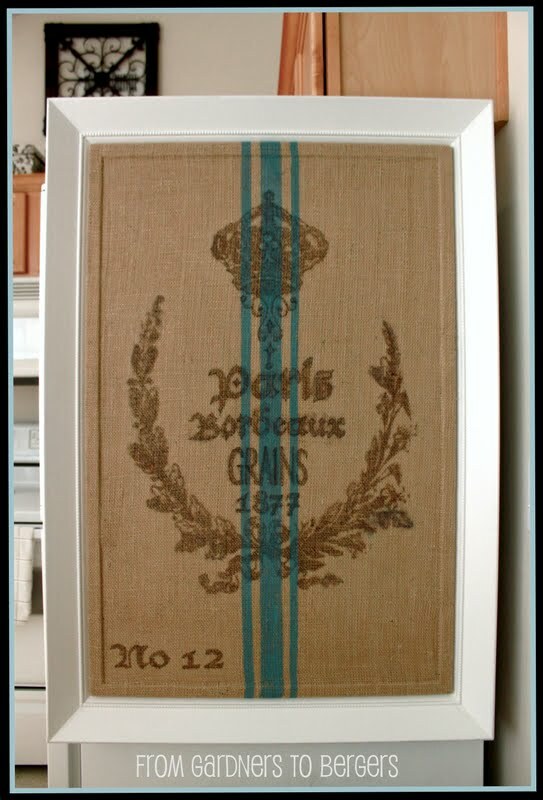 Freezer Paper Transfer Grainsack Bulletin Board by Gardeners to Bergers. Family Rules Subway Art by Clarendon Lane. Painting Numbers on Door by The House That Can Do All Things. 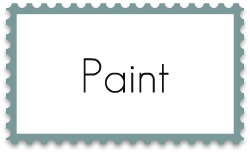 Interview with Annie Sloan about Chalk Paint by From My Front Porch to Yours. Coffee Filter and Book Page Leaf Wreath by Crafterberry Bush. Pottery Barn Inspired Birch Bark Candles by Sand & Sisal. 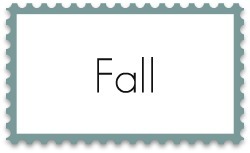 Fall Mantel Roundup by The Real Housewives of Bucks County. 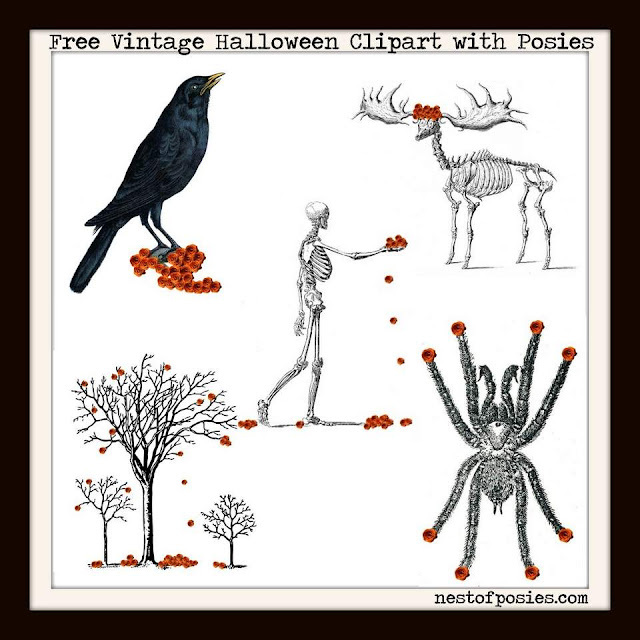 Free Vintage Halloween Printables by Nest of Posies. 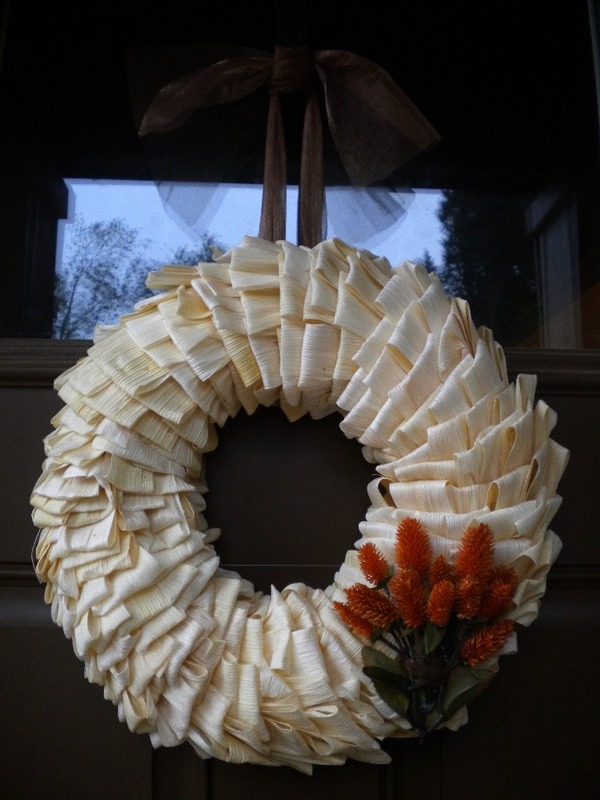 Cornhusk Wreath by The Nested Home. Surveyor’s Cabinet Makeover by Maple and Magnolia. 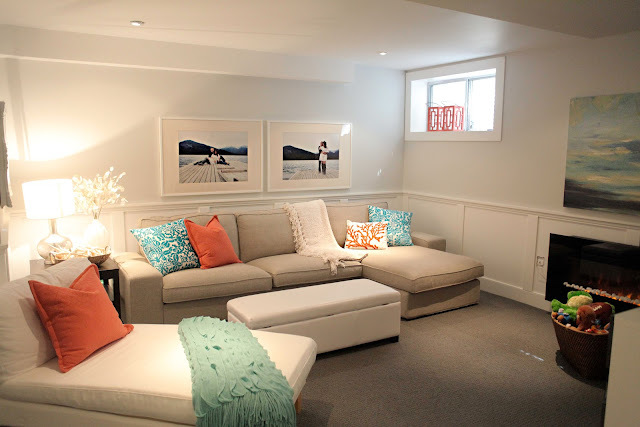 Basement Family Room Makeover by Beach House in the City. How to Customize Basic Curtains by Designing Domesticity. Thanks to everyone who linked up this week! 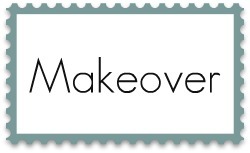 If you were featured, feel free to grab my main blog button and manually link it to this post. Thanks for featuring my item, Beth!! I’m so grateful! So many great projects! I love that coffee filter wreath! You do a really nice job with your highlights Beth! Love the categories! Lovely finds, some of them have gone straight into my inspiration finds. Thank you for this Labor of Love, I love seeing your highlights. Thanks so much for the feature Beth! I am very excited! I have been following your blog for a while now but just started a blog up of my own about 2 weeks ago. 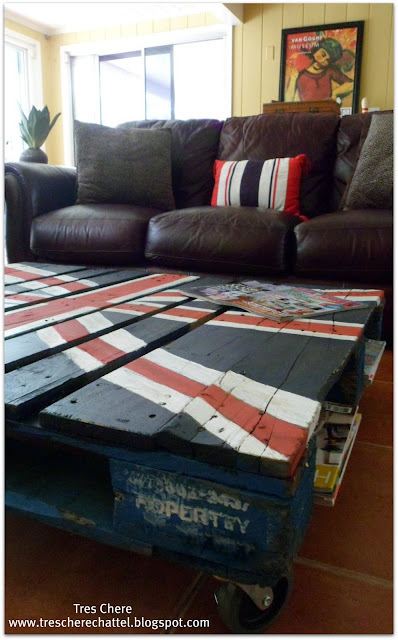 Your blog is one of the blogs that inspired me to share all the projects I do in my home. Thanks for hosting your link parties. So much inspiration! I’m loving the chevron table especially. I told my husband that I love it and he said, “You should do that to your craft table! Just use some painter’s tape and then paint the different zigzag stripes.” My heart melted. I’m definitely doing that once I find a small craft table! THanks for sharing these. We have a “cool color” living room with tans and seaglass greens and blues and it has been looking so drab. I love the Beach House in the City blog. I am going to look for some coral accents to liven this place up! So many beautiful features! Really I don’t know how you pick every week. i am dying over that jack pallet!!! that is fabulous! omgoodness. how clever & unique. that surveyor’s cabinet is swoon worthy as well. thanks for the shout out, sister! hope your week is fab.